With this year marking the centenary of the sculptor’s death, Auguste Rodin is much in the news. While the Grand Palais in Paris is marking the event with a major exhibition, Fraysse et Associés sold a 2ft 1in (64cm) high lifetime cast bronze figural group for €1.55m (£1.35m) at Drouot on March 22. Titled l’Éternel Printemps, the model is one of the groups originally conceived for The Gates of Hell project. This particular patinated bronze proof is a first state, and one of around 10 cast by the Griffoul et Lorge foundry in Paris. 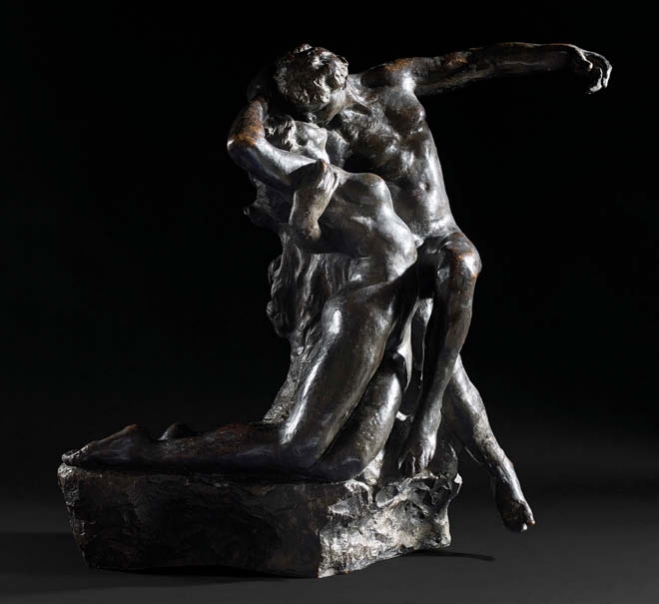 The Rodin committee has suggested that the bronze was probably cast between 1887 and 1894. It had been in a private collection, and before that, c.1971, it was at the Galerie Bielle in Compiègne. Next month, on May 30, French auction house Artcurial will be offering a rediscovered Rodin marble held in the same family since the 1880s. The estimate is €800,000-1.2m. 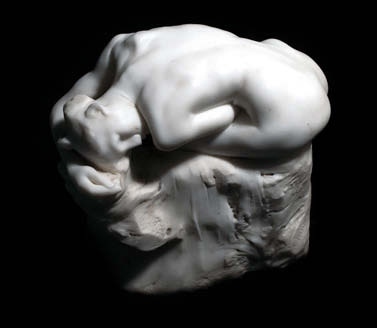 Andromeda, a marble of a young woman crouched on a rock, is a characteristic sensual working of a mythological subject by Rodin. The 11in (28cm) marble, which is signed and dated 1887, was given by Rodin to the Chilean diplomat Carlos Lynch de Morla. In 1888, while posted in Paris, the diplomat commissioned Rodin to create a portrait of his young wife Luisa. The bust, shown at the Salon National des Beaux Arts that year, was so admired that the state asked to acquire it. When Carlos Lynch de Morla agreed (it is now in the Musée d’Orsay) Rodin gave him Andromeda in recompense. It is one of five, three of which are in museums. Meanwhile, in Pau in south-west France, Gestas & Carrère last week unveiled a 2ft 4in (72cm) plaster figure group by Rodin recently classed as a national treasure by the French Ministry of Culture. The auctioneers originally found the model in 2013 in a retirement home in Biarritz but it was subsequently ‘rediscovered’ in a furniture storage unit in the city. The group is valued at €700,000.